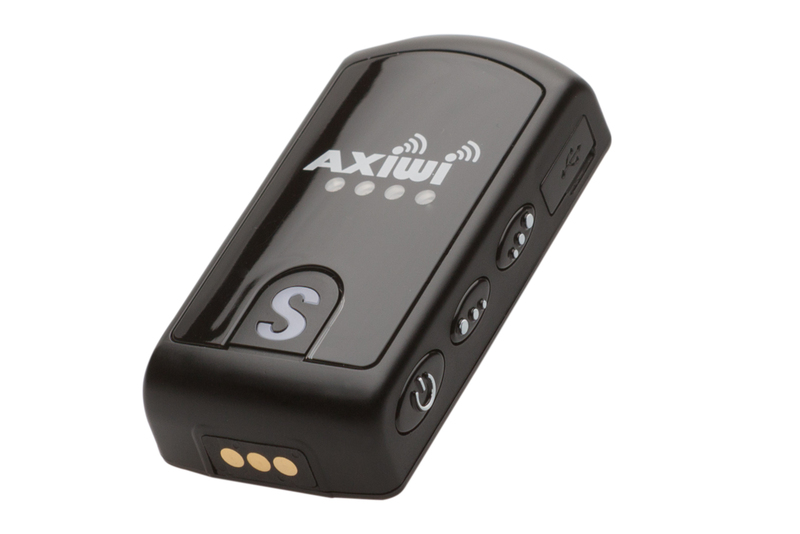 The wireless AXIWI sport communication system is the communication system for sports. The communication system works perfect for referees who want to be in contact with a colleague referee or official. 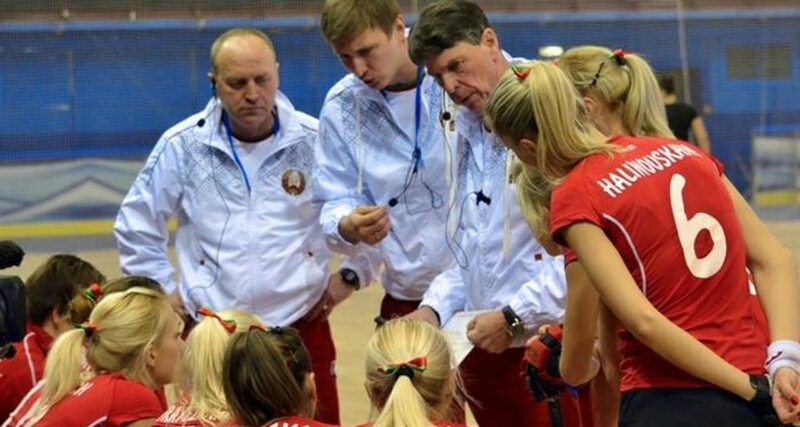 The communication system also offers opportunities for coaches of sporters and referees in several situations. 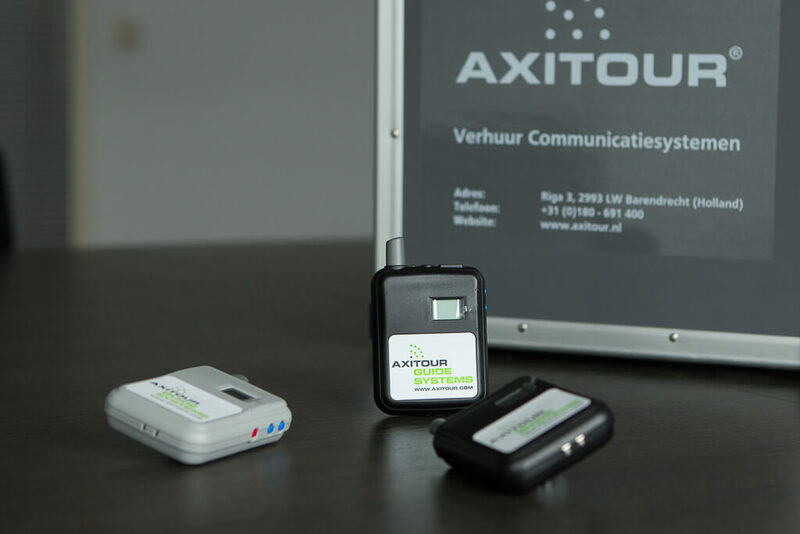 With a weigth of only 39 gram and a size slightly bigger than a matchbox, The wireless AXIWI communication system is the ultimate system to be used in sports. And the communications system is very affordable: similar communication systems are 5 to 6 times as expensive. 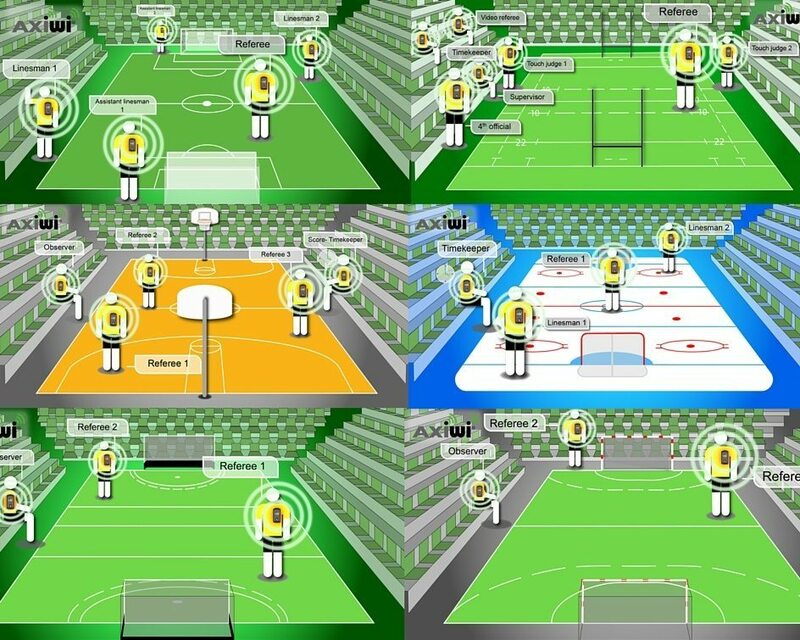 In the mean time our AXIWI system is succesfully being used in sports like handball, korfball, basketball, soccer, fieldhockey, volleyball, baseball, water polo, rugby, Ice hockey, floorball, Segway Polo and Lacrosse. Click here for a total view with all the sports and possibilities. At an increasing number of sports there are 2 or more referees active during a game. 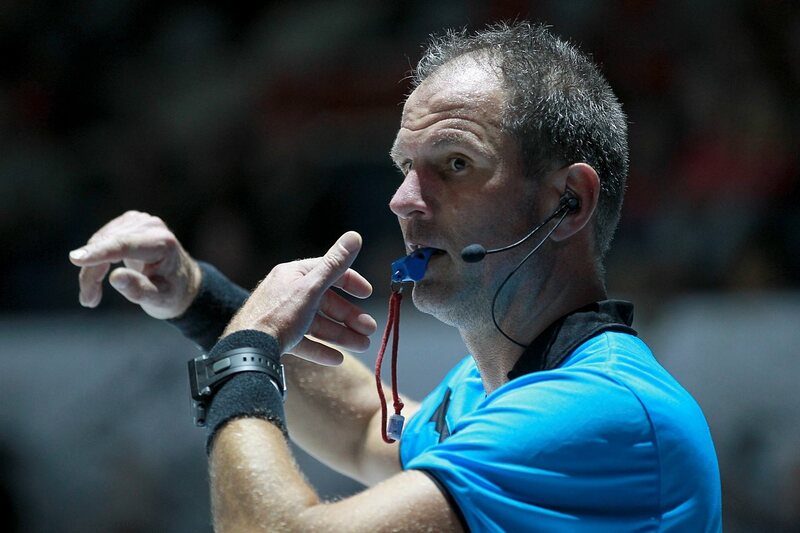 To make communication between referees and officials more effective we introduced the wireless and handsfree AXIWI communication system for sport. Up to 5 referees can communicate simultaneaously without pressing any button. Others can listen to the conversation between them. Depending on the configuration of the units we can configure the system in a way that the master unit is always in contact and all other units can get in contact with 2 other units. By pressing the large S button you get in contact with the master unit and 1 other unit. On the webpage for referees you will find more information about the AXIWI communication system for referees. By letting referee coaches and observers listen to the communication (with an AXIWI) between the referees during a game, they know exactly what the referees in the field are saying and how they react to specific situations on the field. This helps referee coach with good evaluations and develop the skills of the referee. Good and effective communication between a coach and sporter is essential to properly and direct communicate instructions. With the AXIWI communication system you improve the sports performance.The AXIWI communication system is the perfect solution if good communication between a coach and sporter, by distance or environmental noises or other influences, is not possible. An additional benefit of using a communication system is that the coach and sporter can communicate directly, without intervention and intereferrence from others. – From a certain (professional) game level referees have a referee coach. The referee coaches are during a game present to see the actions and the behaviour of the referee. 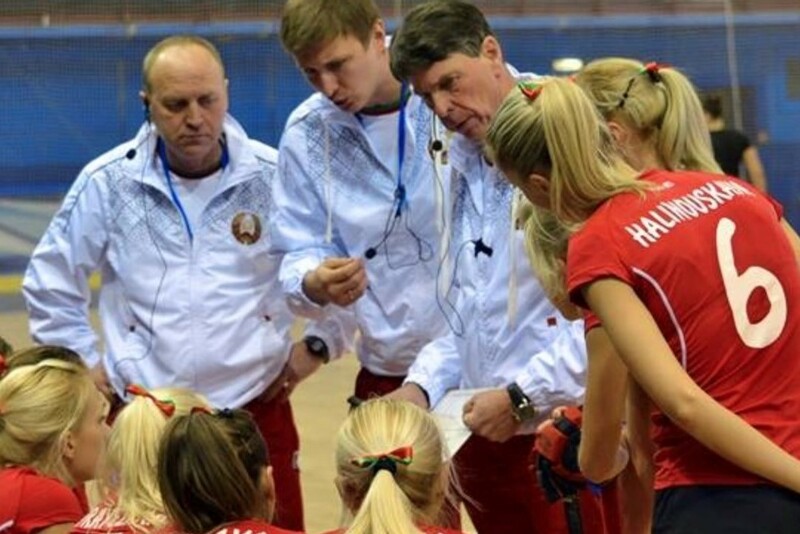 If it is needed, the referee coach can give the referee advice and instructions. On the webpage for coaching in sports you will find more information about the AXIWI communication system for coaching. The AXIWI communication is widely used in outdoor sports bij coaches and referees. Outdoors you have to deal with different weather conditions. 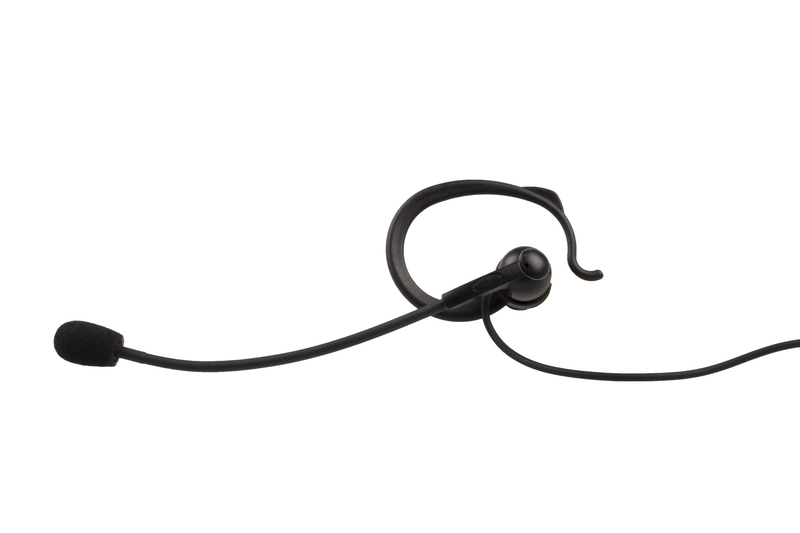 The AXIWI can resist light dust and is waterproof for a small amount of water. We always advise our clients to use the AXIWI armbelt. Beach sports like beach volleybal, beach handball and beach soccer. Watersport; for communication on the boat / yacht. 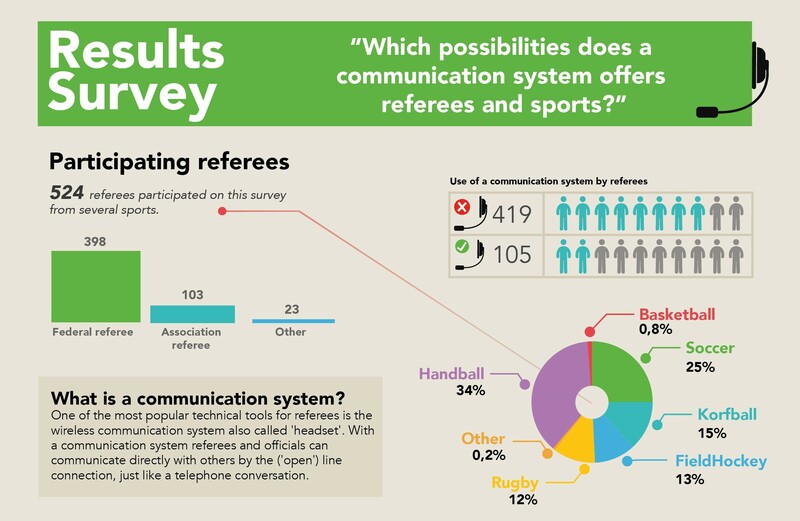 Survey: Which possibilities does a communication system offers referees and sports? 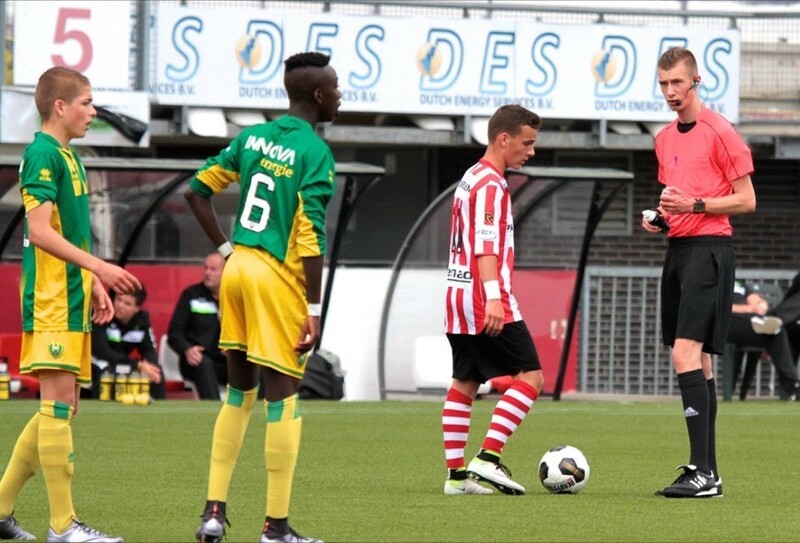 In June 2016 Axitour Communication Systems has held a survey among referees in Holland. The referees who participated on the survey are active on all levels and in a variety of sports. To obtain the information we made a survey for referees who are working with a communications system and who aren’t working with a communication system: 105 to 419. More information about the survey: Check the webpage with the main results, the Infographic and the official Press Release of the survey.